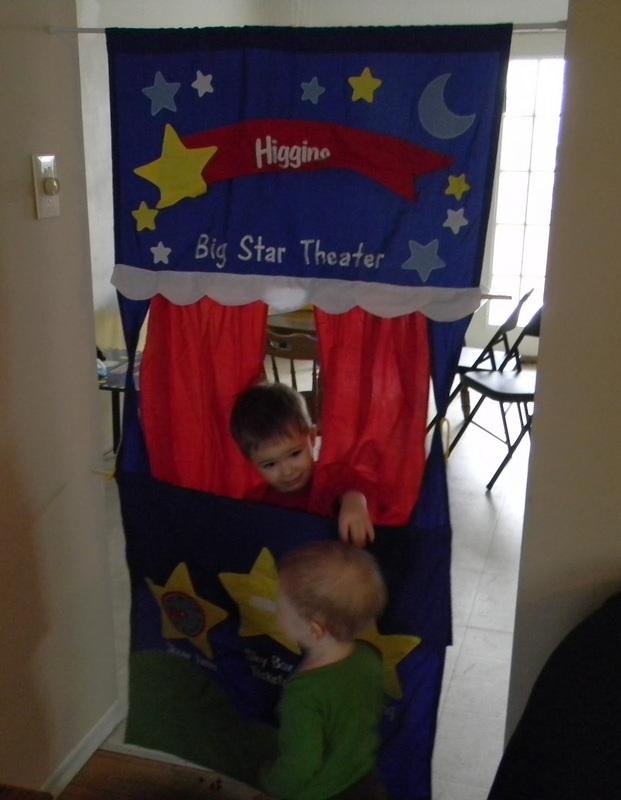 My sister in law, Pam, gave my kids this awesome puppet theater for Christmas. It is so cool. It hangs from a tension rod on any door frame. How cool is that? My mother in law gave the boys animal puppets to go along with the puppet theater. We've had a lot of fun putting on shows. The boys just like to look through the "window". Yesterday I shared some picture books that could be converted into puppet scripts or reader's theater scripts. 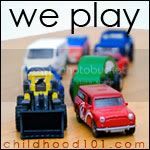 Today I'm sharing some of our favorite ways to play with our puppets without using books. Nursery Rhymes and songs have been the best way to engage my kids in puppet play. They are still a little too young to invent their own stories but if I say a nursery rhyme, they are eager to act it out with the puppets and often join in with reciting the poem.Logan even digs through the puppet pile and comes up with rhymes that would work with that animal. Repeated recitings of nursery rhymes helps to grow a child's vocabulary of rare words. Also, being able to chant nursery rhymes fluently will prepare your child for future success as a fluent reader. In Mem Fox's book, Reading Magic, she asserts that a child who enters school knowing just 8 nursery rhymes will be prepared to become a successful reader. This is such a great idea. We have a puppet stage, but I never thought to use it like this. This is such a great idea, love that theater of urs!! We played puppets too with the tube people we made. 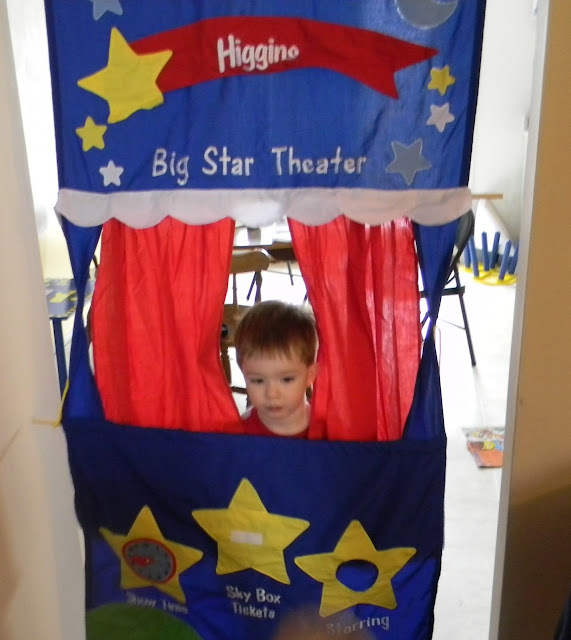 But maybe next time i will add screens to make a stage..
That puppet theater is really cool! I've been meaning to figure out how to make one of those - the key is finding a tension rod that will fit in a doorway! Can't be that hard, I just have to get my act together! Puppet shows are definitely cute and entertaining. Kids love them and adults too! I always have fun watching puppet shows with the kids. I really wish to bring the kids to a big puppet show one of these days. It's going to be real fun and they will truly be delighted. Oh, I know. It would be great to see a "professional" show!